With 450 million users reported in the second quarter of this year, LinkedIn is the best business-oriented social networking platform, great for professionals and B2B. Find out from this blog post how to use LinkedIn for Business. Create a professional and attractive LinkedIn Profile. Make your expertise clear in the headline, add a profile photo (people buy from people), include an interesting summary highlighting your experience and what problems your products or services are solving. Connect with new people every week. LinkedIn is a low volume with high value content network. Share relevant content minimum 2 x week and no more than 5 x week. 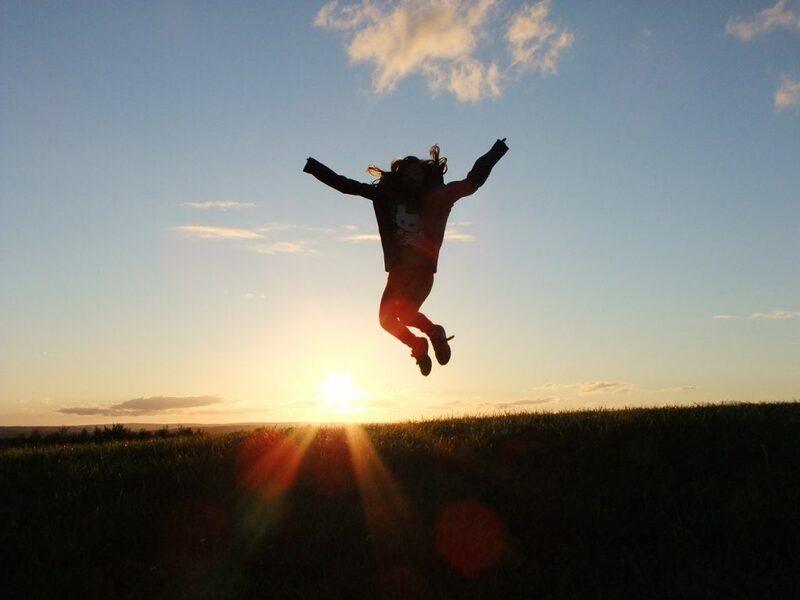 Share more valuable content, less self-promotion. The general rule in social media is only 20% about your business and 80% about news and other relevant content. Write well documented and original articles using Pulse, LinkedIn’s publishing platform. Make sure you back-link to your own blog or website. Endorse other people’s skills and they are most likely to do the same. Join groups that are relevant to your business and be active. Share relevant content. Show your expertise. Help other people. 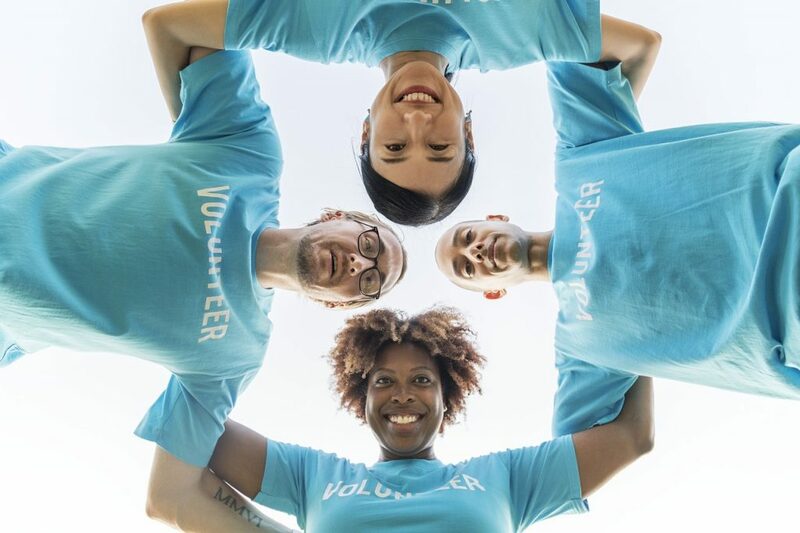 Create a group relevant to your industry (not to promote your business but to share useful information with other members) and invite your connections to join in. Create a Company Page where you can add all your employees that are on LinkedIn – here you can post information about your company. Get your message out to the right people with Sponsored Content. Use Sponsored Content to raise greater brand awareness, generate quality leads, and promote deeper relationships with your audience by extending the reach of your company’s updates. 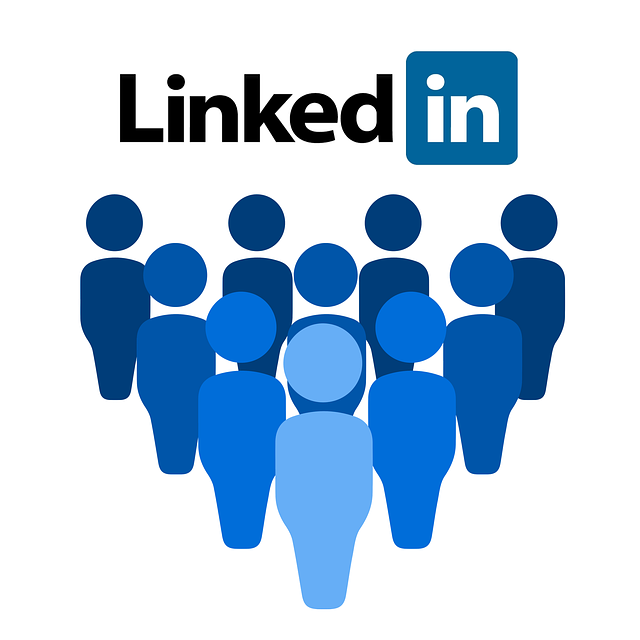 If you are new to LinkedIn, here you can find out how to sign up. After you created your account, add a profile photo, an impressive headline mentioning your expertise and details about your previous work experience and achievements. Once you are happy with your profile, you must look for connections to grow your network. 1st connections are people you are directly connected to through invitation. 2nd connections are people who you share mutual connections with ie, you and John Smith are both 1st connections with Jane Smith. 3rd connections are people with whom you share extended network connections. Go to Add Contacts (under My Network) and import contacts from your personal and business emails. You can then select who do you want to connect with on LinkedIn. Search on LinkedIn for people you have met with in the real life: your business partners, customers and people from networking events. LinkedIn encourages that you can only connect with people you know. 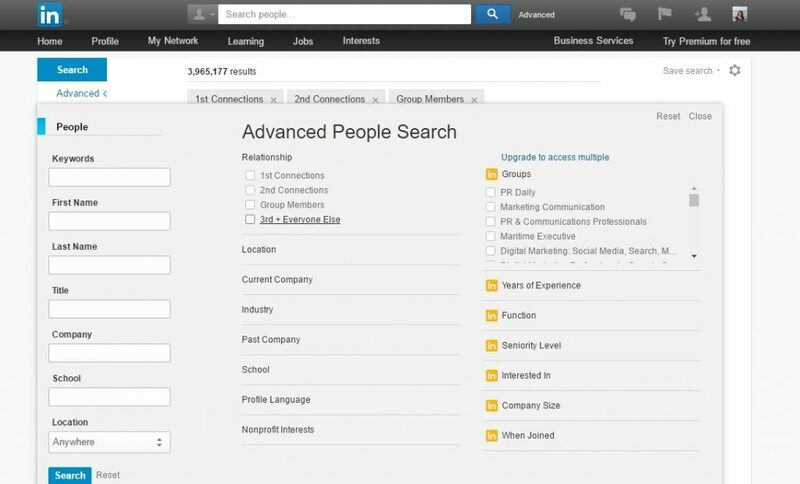 Try the ‘Advance People Search’ Feature to search connections by relationship (1st, 2nd, 3rd connections and group members), location, industry, job title, company and many other variables. 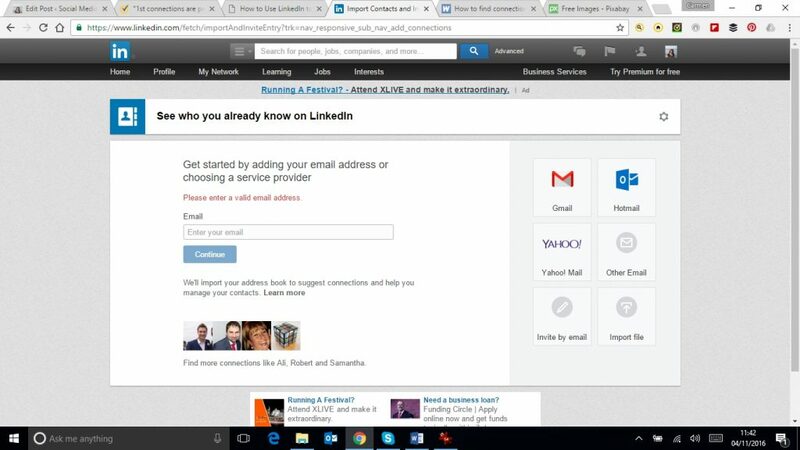 Since September 2012, LinkedIn has enabled users to endorse each other’s skills. Be good and endorse other people’s skills, especially if you know them. It’s going to help them tremendously and they may endorse some of your skill too. Just to make it clear, LinkedIn solicits endorsements using algorithms that generate skills members might have. You cannot opt out of such solicitations, with the result that it sometimes appears that a member is soliciting an endorsement for a non-existent skill. If you don’t think that person has a certain skill, don’t endorse him. It’s that simple. You have the option to recognize their skills but you don’t have to do this if you don’t want to. If you have a good feedback after you have been using someone’s services, post a Recommendation on his LinkedIn account. Groups provide a limited form of discussion area, moderated by the group owners and managers. They also keep their members informed through emails with updates to the group, including most talked about discussions within your professional circles. Groups may be private, accessible to members only, or open to Internet users in general to read. If they want to post a message, they must join in. Before you post a message, check The Group Rules. You will find them either in the “Group Rules” section, or in the overall description of the group. Read them carefully! If, for example, the Group Rules state that comments should not include links, you should respect this. Read the Group’s description before deciding to post in it. Make sure the group relates to the content you are sharing. If you post content that is irrelevant to a certain Group, it is likely that you will be blocked and deleted. 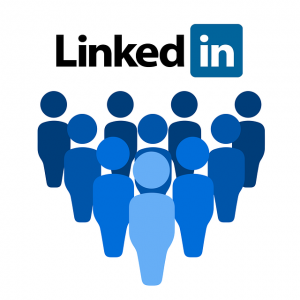 You can use LinkedIn to drive traffic to your site and get qualified leads, network with high-profile individuals, stand out from the crowd and start getting job offers (if this is what you are looking for). If you want to learn more, I would recommend Linkedinfluence, an online course that shows you how to use LinkedIn to achieve all these results. LinkedIn was founded on December 14, 2002, and launched on May 5, 2003. Microsoft bought LinkedIn in June 2016 for more than $26 billion. According to Forbes, this new deal means Microsoft can embed LinkedIn with Skype, its email system and other enterprise products so that, in the words of one Silicon Valley expert, it will be able ‘to recreate the connective tissue for enterprises’. Disclosure: Linkedinfluence is an affiliate link, which means that if you visit this website through this link and purchase this product, I’ll get a commission. Don’t worry–the price is still the same for you! Do You Think Like an Employee or an Entrepreneur? Who Am I & Who Are You?